Huddersfield (A), Red Star Belgrade (H), Cardiff City (H). After playing Manchester City, Chelsea, and Spurs – two of those away from home – we deserved this run of games. I mean, no offence to any of these lads, but I’m sure fans of these three teams will admit that ‘galacticos’ they most definitely are not. After another international break in which some players came back a little battered and bruised – Mo Salah and Sadio Mane in particular – we could have done with the trip to a revitalised Arsenal not coming for another 10 days. It also meant that we could give some of those boys a bit of a rest and test the mettle of the rest of the squad. Huddersfield Town, the John Smith Stadium, late kick-off, Saturday. Could be tricky. We have been here before, going to the “lesser” sides and running into a dogged team who simply want it more. However, Huddersfield haven’t scored a goal at home this season and they’re coming up against one of the best defences in the league. This should be a gimme. We should not only shut them out but annihilate them, too. Mane isn’t available but that isn’t a problem. We still have Salah, we still have Firmino, and, now, we have Xherdan Shaqiri. A lot of people snorted at the signing of Shaqiri yet he has proven to be worth all of the £13 million spent on him so far. For that price, we have a bargain. He can play on either flank or behind the striker and he’s comfortable making defences uncomfortable. He plays in those pockets of space on the edge of the box, running at defences and playing awkward balls when necessary. It was one of these horrible pockets of space he found himself in when he played another awkward ball into the box. The kind of awkward ball Mo Salah gobbles up and gave him his fourth goal of the season. It wasn’t pretty, it wasn’t nice, we hardly battered Huddersfield. But we won. There is nothing else you can ask for but three points. I’ll take three points and a nasty performance over a defeat and free-flowing football any day. So, we move onto Wednesday night with a win behind us. Red Star Belgrade, Anfield, Champions League. Another team we should be absolutely tearing apart, or at least we would have last season. I have preached this to you quite a bit this season though. This is a different, more considered, slower Liverpool side this season. If you aren’t evolving then you are standing still. When you stand still, you get found out. If Liverpool hadn’t have changed the way we played after last season then we would be easy to stop. Slowing things down is not a bad thing, it is not even a boring thing. It is evolution and it needed to happen. We were about to see what evolution looked like against Red Star Belgrade. Shaqiri started again and this time he was joined by another new mate of ours from the summer. Fabinho was also given his ‘proper’ debut, as Jurgen Klopp called it. We’ve heard a lot about Fabinho and a lot of excuses have been made as to why he hasn’t featured as much as anyone would’ve liked so far. The simple fact is that if you pay £43 million for a player then we will want to see him at some point. We finally got to see what Fabinho was about here. Yes, he is still a little ponderous and seems slightly unfit. However, you can see that there is a very good player in there. He loves a tackle but, more importantly, he is accurate with his tackling. Last season, Fabinho averaged 3.4 tackles every 90 minutes. The Liverpool player who comes closest to that is James Milner, who averaged 3.0 tackles per 90 minutes played. He also equalled the record of interceptions per 90 minutes of Jordan Henderson (1.3). If we haven’t got a player who isn’t as good as what we have then we certainly have one who has improved us. But the star of the show, once again, was Xherdan Shaqiri. Like said above, Shaqiri was bought as a backup and has done a very good job when called upon. In fact, he has done such a good job that you would have to make a case for him to be a regular starter. 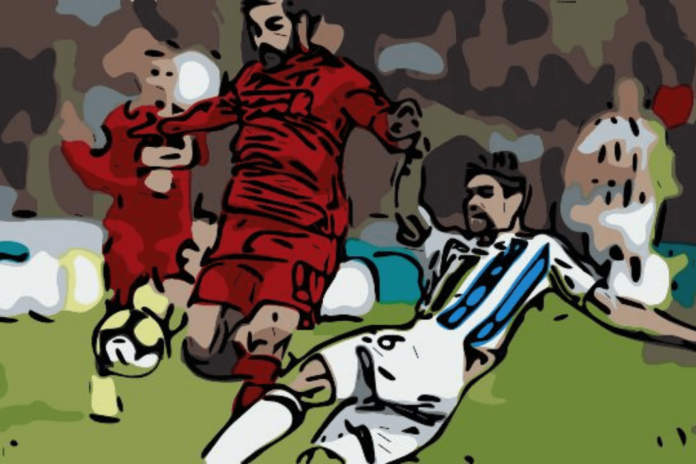 Shaqiri’s creativity has already been beneficial to us, as was evident on Saturday, and Klopp had obviously noticed this himself when scouting the little Kosovan. Last season, Shaqiri created more clear-cut chances than any Liverpool player in the Premier League (77). He also had more shots on target from outside the area (12) and more goals from outside the area (5). These players are in decent form and have made a steady start to their Liverpool careers. What is most important though is that they have given us something we didn’t have prior to their arrivals. Whether it’s goals from outside the area or high tackling ratios per 90 minutes, they have helped Liverpool to evolve this season. To win trophies we cannot afford to stand still. To win trophies we have to evolve. Previous articleIs It Time To Say Goodbye To Origi? Next articleWhat is Adam Lallana’s Role in this Liverpool Side?